Custom Architectural Plan Blends Traditional Elements W/ Contemporary Designs. On Approximately 1 Acre West Facing Lot. The Gracious Foyer Opens To Frml Centre Hall Living/Dining Rm Leading To An Open Concept Gourmet Kitchen/Fmly Rm. Kitchen Fts. 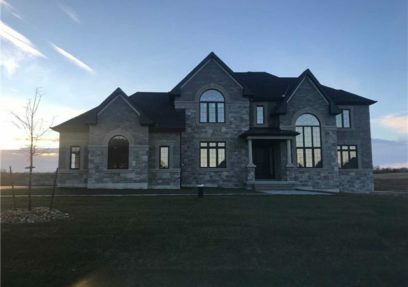 Custom Cabinetry, Top Of The Line Appls & O/L Breakfast Area & Open Concept Great Rm With Fireplace. The Upper Level Features Heated Btrm Floors In Master, Laundry Chute, Quartz Counter Tops, Porcelain Tiles.